Here is a nice video showing of the particle effect system used in Nova Remnant. Looks like it could make good screensavers as well. This entry was posted in Nova Remnant, Projects and tagged Game, Indie, Nova Remnant, Projects, Video, Xbox, XNA on 07/07/2011 by Stewart. 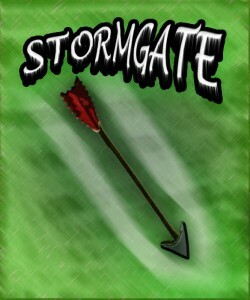 The final name of the game has been decided and here is some of the box art to accompany it. Be sure to check back at the end of the week as the game will either be released for review or playtesting . Which will be available to those with XNA creators memberships. This entry was posted in Nova Remnant, Projects and tagged BoxArt, Game, Indie, PlayTesting, Projects, Review, Xbox, XNA on 06/07/2011 by Stewart. I have been very busy most of the year , so I’ve not had much time to work on my projects but the main one I’m working on the now “Project AB” is starting to shape up . It is a fully playable game now which is pretty good progress , considering the little extra time I have had. I finish the semester for university next Thursday so after that I will be able to focus my attention mainly on finishing this game. I am planning to try and get this game on the Xbox indie marketplace . If progress goes as planned then it should be available around June/July. 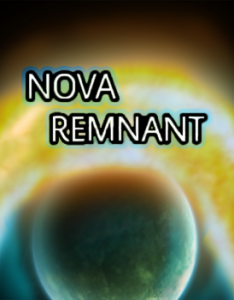 This entry was posted in Nova Remnant, Projects and tagged Game, Indie, Projects, Xbox on 23/04/2011 by Stewart. I have started working on a new game recently although progress has been slow , due to me being very busy this year at university. I will try and put more work into the game and I can defiantly say I will have a new game created by the end of this year. This entry was posted in Projects on 23/02/2011 by Stewart.